Passionate motorcyclists appreciate the fact that there is hardly any other means of getting around that offers the same thrill as riding a motorcycle. For some other riders, it is not so much about the adventure but about convenience and the possibility of beating the traffic easily. Whatever your reason for riding a motorcycle, you would already be aware of all the risks. In the event of such an accident, The PM Law Firm's experienced motorcycle accident lawyers are ready to help you get the compensation you deserve if the accident was caused by another party's negligence. Statistics from the National Highway Traffic Safety Administration (NHTSA) show that there were about 5000 motorcycle accident-related deaths and 92000 injuries in the year 2014 alone. That indicates an average of 13 deaths per day. 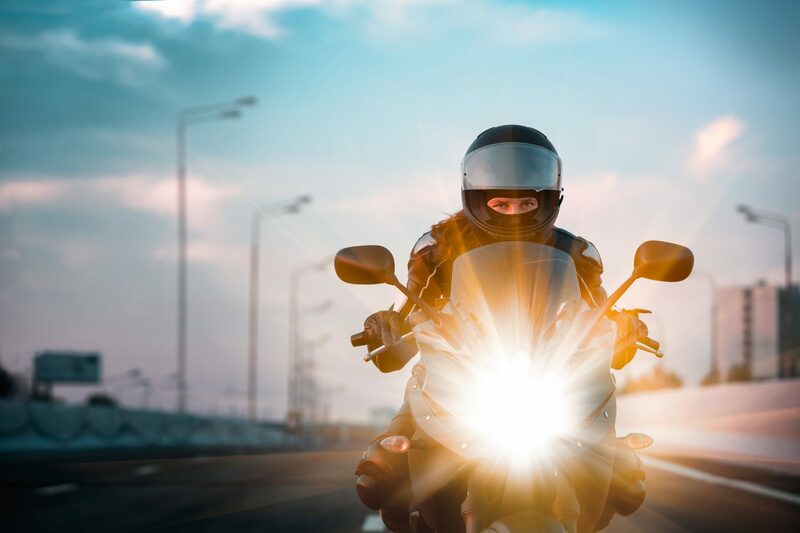 Motorcycles account for less than 1% of the total number of miles driven on American roads, yet they make up about 18% of road accident-related fatalities. The severity of motorcycle related injuries is also worthy of mention. Survivors of motorcycle accidents frequently end up with debilitating injuries such as traumatic brain injuries, spinal cord injuries, multiple fractures, and amputations. All these could have a significant impact on the well-being and quality of life of the survivor. If you or anyone you know has been on the bad side of a motorcycle accident, you should consider pursuing a claim if the other party is guilty of negligence. The PM Law Firm has a proven track record of helping many motorcycle riders get the deserved compensation and settlements in the event of an accident. While the compensation would truly not bring back what has been lost, it is capable of reducing the financial burden that arises as a result of medical expenses. If you are pursuing the claim for deceased a loved one, it could go a long way in helping the family of the deceased. At The PM Law Firm, we have highly experienced motorcycle accident attorneys that are familiar with the nitty-gritty of motorcycle accident claims. We'd help you throughout the entire process and we won’t rest until justice is served. At PM Law Firm, the course of justice is one of our foremost concerns. Often motorcycle accidents occur as a result of the fault of other road users. Beyond getting compensation for our clients, we hope to make the negligent party pay so that other citizens are protected. Often, the affected person would be in need of medical care following a motorcycle accident. We would take on all aspects of your case to make sure you are not burdened at all during you or your loved one's recovery. If the case in question involves the death of a loved one, the family of the deceased would be entitled to the following compensations from the negligent party: the funeral expenses, the loss of inheritance, earning capacity, household services etc. There seems to be a belief among car and truck drivers that they have greater rights to the road than motorcyclists. You might have heard many of them say motorcyclists are supposed to look out for truck or cars on the road and avoid them. Such an attitude is among the contributors to the high fatality rate associated with motorcycle accidents. Our motorcycle accident lawyers have great experience dealing with this problem and we have helped many accident victims overcome this flawed view of motorcyclists. We have a rich network of experts that are ready to investigate the accident and serve as expert witnesses if need be. Our motorcycle accident lawyers are eager to help you get your life back. And if the victim is deceased, our attorneys are eager to help the family ease the process of moving on.